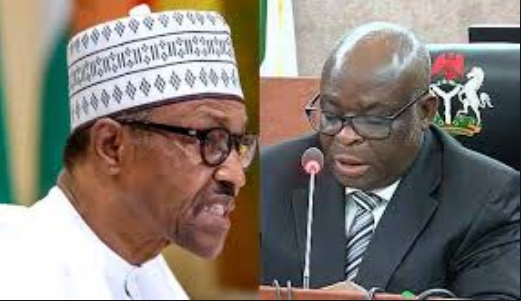 The African Democratic Congress (ADC) has asked President Muhammadu Buhari to apologise to the suspended Chief Justice of Nigeria, Walter Onnoghen. 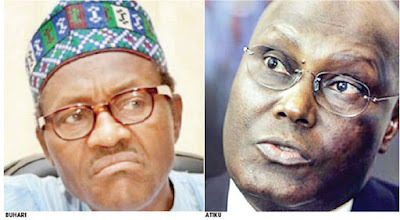 The party also said it would continue to support the presidential candidate of the PDP, Atiku Abubakar, in his quest to reclaim his mandate. The party’s National Working Committee stated this in a communique issued on Tuesday after its meeting held in Abuja. The ADC faulted the conduct of the 2019 elections. It said that its members, who participated in the exercise, were robbed allegedly through the combined efforts of state institutions, including the Independent National Electoral Commission, the Independent Corrupt Practices and Other Related Offences Commission, the Economic and Financial Crimes Commission and the National Communications Commission. The communique, which was read to journalists by the National Publicity Secretary of the party, Yemi Kolapo, was signed by its Chairman, Ralph Nwosu and the Secretary, Alhaji Said Abdullahi. The ADC affirmed that democracy in Nigeria could remain relevant through the restoration of the people’s right to vote and elect their political leaders at the executive and legislative organs. The communique read, “The only way the democratic electoral process can be strengthened to continue to serve as a role model at this stage of Nigeria’s nation building is for the judiciary to continue to play its constitutional role strongly, without fear or favour, in order to stop the excesses of politicians and save the country. “We, therefore, call on the learned men of the third arm to act to restore power to the people in our democracy. It is in the best interest of every Nigerian that we do not knowingly bring about the obituary of our democracy. It added, “The government in power promoted violence, and used the police, military, intelligence agencies and thugs to terrorise innocent citizens and pollute the electoral space. “There was heavy commercialisation of the process, which involved vote-buying, inducement of electoral officers and ad hoc staff, and other forms of electoral corruption by the incumbent federal and state members of the executive arm of government. “The cause of democracy was thwarted and the people were denied the right to exercise their mandate. The Nigerian public and international observers are witnesses to the desperation of the Presidency and state governors, and corruption of the entire process.